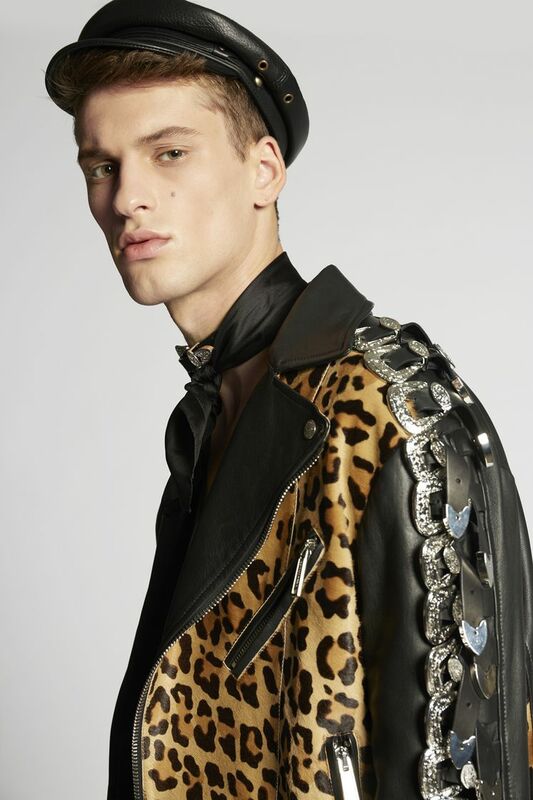 This leopard designed leather biker jacket captures Dsquared2' signature rebellious aesthetic. The sleeves are dramatized with multiple western-inspired buckles cascading from the shoulders down to the wrists. Finer details include a classic spread collar and an adjustable hip belt.